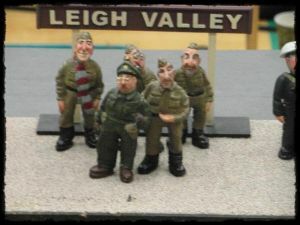 Leigh Valley Light Railway (SM32 Live Steam Layout) started life as a basic twin track demonstration layout to enable 16mm locos and rolling stock to be present to the public for charitable fund raising.The Forest of Dean club purchased the layout in 2007 and has undertaken a series of modifications/ improvements to create a more scenic model. 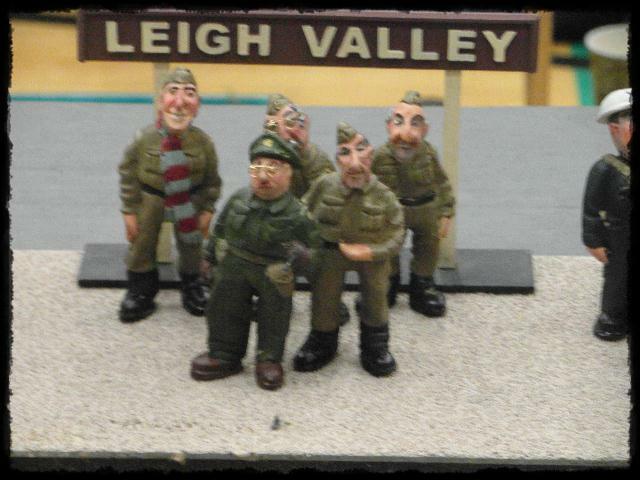 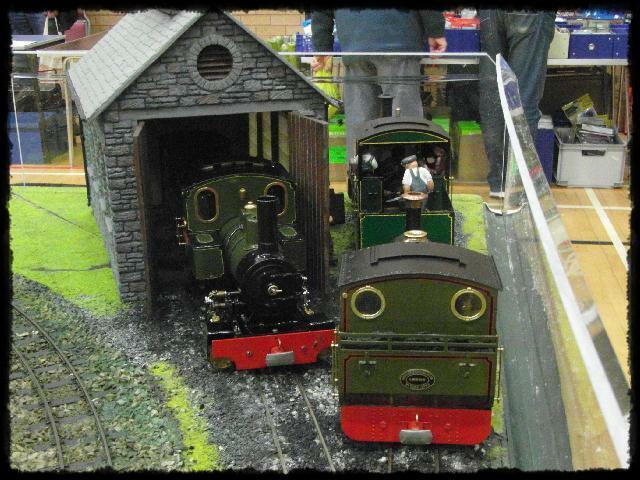 An engine shed and loco storage so that models can be presented to the public when not running. 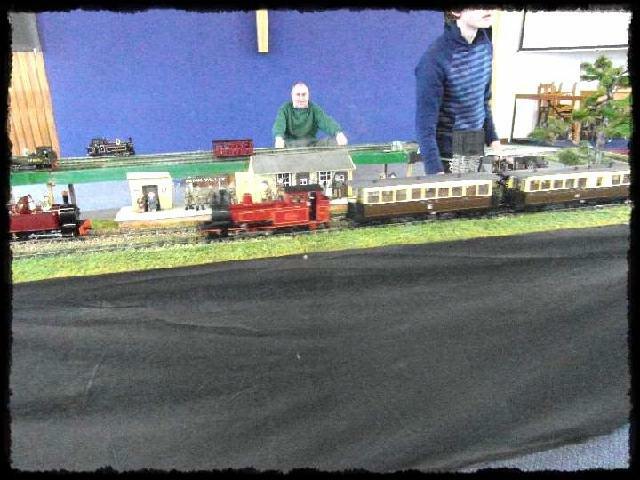 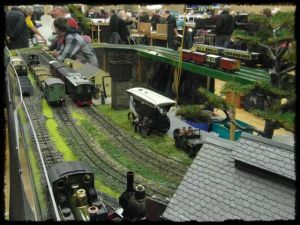 The layout enables club members and members of the 16mm NG Association to run an assortment of battery and live steam locos. 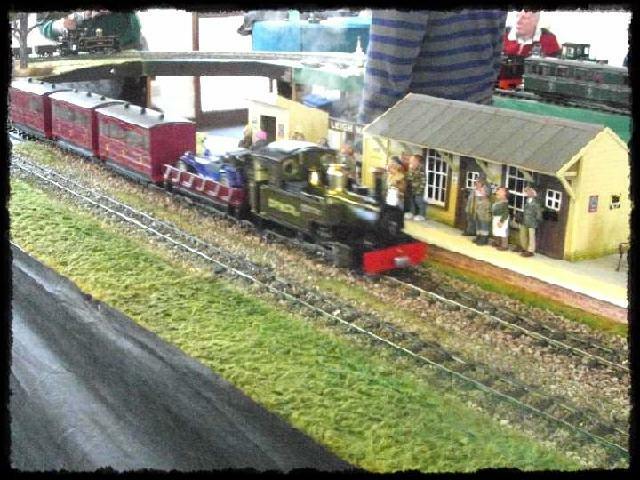 There are no rules regarding period or location – we simply seek to enjoy running and showing the public our models. 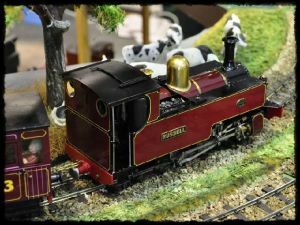 Obviously most running is done on members’ own garden railways which enable the models to show their full potential in terms of power and setting. 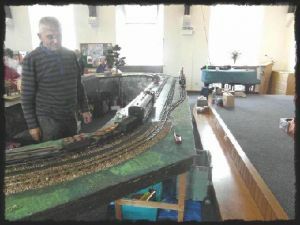 Layout Footprint 7.15m x 2.65m– The layout being rectangular “oval” arrangement means space is needed at the rear to operate it.